I’m Judy, the owner of this blog. I’m a wife, mom of 11, grandma to many, of Sami/Finnish descent. I live up on a ridge in the Ocooch Mountains in Southwest Wisconsin also known as the Driftless Area, and this blog is about my life. I started blogging in April 2007 and so much has changed in these past years, not only with my blog, but with my life. My husband and I moved to Southwest Wisconsin in August of 2010 from Northeast Illinois, dragging our youngest child with us (I’m happy to say she wasn’t kicking and screaming). Since then we have become empty nesters and are enjoying it. With our children spread out to 6 different states, we get to travel more which is HUGE! I turned 50 in 2011 and I'm counting on my 50's to be amazing! I blog about my life, with lots more photos and a lot less words than I used to. I love to take pictures; my camera a Nikon D80, goes with me whenever I walk out the door, well almost always, and I take pictures with my cell phone as well. 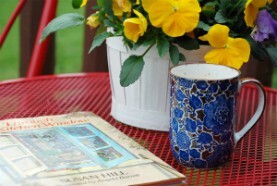 I blog about my sewing and quilting (which I had just taken up since moving to Wisconsin). I started sewing in 7th grade because Home Economics was offered. I think I was the only one who enjoyed those Home Ec classes. I never thought that I would ever own more than 1 sewing machine. I got my second machine which is a Bernina 1008 about 1997 after having so much trouble with my first one and LOVE it! I have a Baby Lock Ellure Plus embroidery machine and another Bernina, a 820 QE, which is totally AWESOME and Bernina 560. 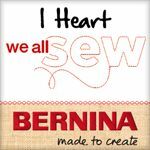 I am a Bernina girl all the way. I also blog about my knitting, cooking, baking, family and our life here on Gentle Hearth Farm, as we call our little piece of the world. 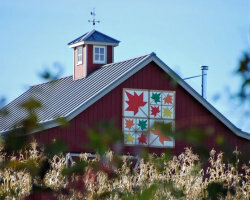 We make maple syrup from the maple trees on our land, it's fun and delicious, we garden and raise chickens (meat birds). I do a few fun memes now and then and I get to visit other wonderful blogs. I thank you for stopping by, and please leave a comment so that I know that you did.